Just ahead of the second May Bank Holiday and with the sun continuing to bathe most of the UK in early summer warmth, we’re getting in the mood for August Bank Holiday weekend and the 45th Greenbelt Festival! And today, May 22nd, we’re adding a whole bunch of stuff to our already-exciting lineup for 2018. There’s new poster artwork to share and download, lots to dig into on our lineup pages, and here below is just a quick canter through what’s new on the bill and why we’re excited. The phenomenal voice of Beth Rowley will once again grace the festival, as she returns with a new album, including songs written with Ron Sexsmith, no less. Already garnering great reviews, Beth looks set to hit the big time at long last. And we’ll get to enjoy her at Greenbelt 2018. And, making their Greenbelt debut, Collective X is a wonderful cross-genre of artists speaking truth to power through improvised music, contemporary, jazz, spoken word, hip-hop, grime, and electronica, and featuring superb artists like Pat Thomas and Cleveland Watkiss in their wider circle. 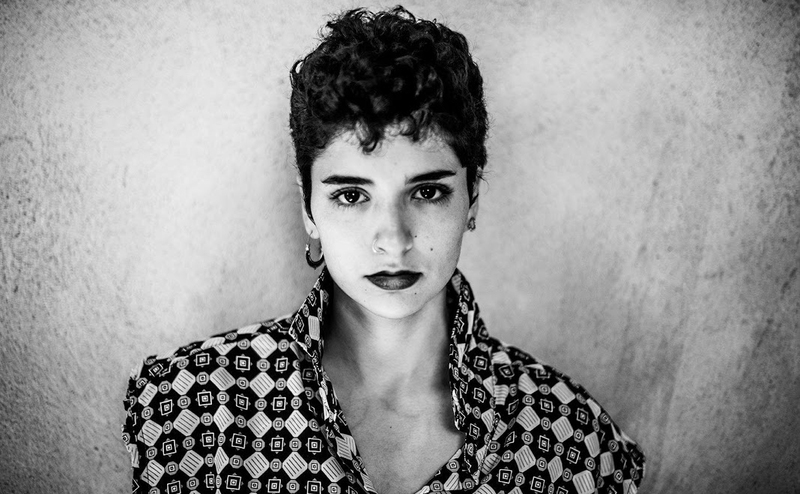 Rasha Nahas (pictured above) is a young Kate Bush-like Palestinian singer-songwriter from Haifa who we booked as a result of being at PMX in Ramallah. Polly Gibbons is Greenbelt-grown royalty, the daughter of festival founders and a world-renowned jazz vocalist regularly wowing audiences at Ronnie Scott’s and all over the globe. Haiku Salut is playing as Jon McGregor’s backing act when he reads from Reservoir 13 but this innovative collective will also gig in their own right. Gasper Nali makes infectious Malawian music propelled by the distinctive wiry sound of his babatoni, a super-sized, one-string bass that’s played with a drumstick and an empty beer bottle and that he invented himself! In addition, we’re pleased to announce Her’s, Wallis Bird, The Carny Villains, AK Patterson, Nathan Ball, Normanton Street, Five Fathoms Deep, Little Brother Eli, Hazey Jane, Alessi’s Ark, Hux, DJ Andy H and Seven Cities. Still to come: news on some more late night acts and DJs. Watch this space. We’re really excited about our ideas programme this year and we are pleased to have added the following thinkers, writers, theologians and activists into the mix. Broadcaster, TV personality, writer and campaigner June Sarpong (pictured) comes to the festival to share the work of her book Diversify: Six Degrees of Integration in which she passionately argues the case for diversity, with her message an antidote to the ‘hostile environment’. John Bell will, of course, be with us to impart more wisdom and biblical insight. Against a backdrop of fake news, independent journalist and activist Sue Turton will join us to share about her life and work reporting on some of the most difficult circumstances on the planet and be sharing her new book for young people on Teenage Activism. The food writer Joanna Blythman will help us navigate the media obsession with food stories and reporting that leaves us wondering whether anything can be ‘good for us’ anymore. The CEO of Friends of the Earth, Craig Bennett, will be with us to share about his organisation’s campaigning on fracking, clean air, bees and Brexit. We’re delighted to welcome two rabbis to the festival this year. Rabbi Herschel Gluck will share about his interfaith work with Muslims in Hackney and the returning Rabbi Jonathan Wittenberg will speak about his dog and how his relationship with his canine companion has taught him valuable lessons about life and love. The Rev. Nadim Nassar, a Syrian priest, brings us reflection and analysis on the plight of his beloved homeland. Christian Aid’s new CEO Amanda Khosi Mukwashi will share her view of the work the NGO is called to do in a fast-changing world, following the Oxfam scandal and the damage that did to the sector. Peace activist and campaigner Salma Yaqoob will join Cole Moreton to co-host The Daily Mirror current affairs review chat show each day. Durham University’s Matthew Guest will think about where religious communities and practice are heading in the future in the UK. And blogger Hussein Kesvani will explore what Muslim futures might look like here in the UK. Rebecca Stott (pictured) brings her highly acclaimed novel In the Days of Rain – a book which brilliantly tells the story of her father and her family’s life within and struggles to move beyond the fundamentalist Christian sect that is the Exclusive Brethren. Foyle Young Poets AK Blakemore & Annie Katchinska will be with us at the start of their journeys as professional poets and Greenbelt friend Anthony Wilson will host them. Jennie Hogan bares her soul in her brilliant book This is My Body which, without an ounce of self-pity, describes her journey into semi-blindness and chronic epilepsy and her theological reflection on that. The polymath Malcolm Guite returns to give a set piece on image and imagination at the start of the festival weekend, drawing on his love of and expertise in all things Coleridge. Young performance poet Katie Walters triumphs against all odds to deliver tender and tough spoken words about her struggles and triumphs as a writer living with autism and physical disability. And Joanna Brown shares the fruits of her labour of love to produce a book on Jesus in the light of the situation in Israel-Palestine today. Knot by Nikki and JD (pictured) is the heartbreaking yet humorous story of a very modern romance told sensitively through breath-taking acrobatics and dance. The Audit (or Iceland, A Modern Myth) by Proto-Type Theater uses original text, performance, film, music and animation, to tell a story about finding strength, overcoming a world designed to keep us docile, and how collective power can move a mountain – even if only a little. The Shroud Maker is the latest stage play from acclaimed Gazan playwright Ahmed Masoud. It is hard-hitting but deeply funny at the same time. Labels by Worklight Theatre is a funny, moving and honest story about mixed heritage and immigration involving paper planes, racist romances and lots of sticky labels! #ARMINGTHEWORLD by ice&fire, Teatro Vivo and Takis brings the shadowy world of our government’s involvement in arms trading out into the light of day. Part street theatre performance, part fashion show, part interactive educational exposition, part modern-day agit-prop. Our very first BMX Stunt Show is brought to us by Matti Hemmings, a professional flatland BMX-er, three-times Guinness World Record holder, and quite simply one of the best riders on the planet. While Drag Queen Storytime – aims to capture the gender-fluid imagination of childhood while giving a glamorous, positive, and unabashedly queer role model. And Box by Inverted Company is a fabulous and playful circus skills show about siblings for the whole family. Joining the astonishing Gazan teenage painter Malak Mattar, will be the stunning installation Celestial Sound Cloud (pictured) by Pif-Paf – an interactive digital sound and light sculpture inspired by the clouds of dust and gases in which stars are formed. Bristol-based light and projection artists Limbic Cinema will be returning to Greenbelt after their beautiful tree-mapping last year, this time to produce something over the water. Georgina Barney will be engaging with all things wool – yarn, spinning, and sheep. Art School classes will be back in force, with a whole range of practitioners sharing their skills and techniques with festivalgoers. And the Shed Galleries will be back again, too – wonderful, intimate spaces within which to encounter art over the weekend. The worship and spirituality programme for Greenbelt is shaping up nicely. Once again on the far side of the lake, expect Taize chants, daily Quaker quiet, a Goth late night Eucharist and all-age daytime service, L’Arche-led worship, the Iona Community with their Big Sing, an Indian Satsang-style service with Nabeel Masish, plenty of Forest Church fun in the outdoor gathering circle, The Grove, and the quiet Chapel prayer space. Sacred choral music from St Martin in the Fields, a Catholic Mass, explorations in Icons and Vespers with our very own resident Greek Orthodox theologian Dr Andreas Andreopoulos, from Winchester University. And our special new partnership with Space to Breathe who will be leading daily thoughts around ‘The Adjacent Possible’ and also bringing us ‘Proost Presents…’ each evening – featuring alt-worship, spoken word and other devotional performance. Not forgetting, of course, our special Windrush-focussed festival Communion Service. We released our children’s and family poster a month ago now. Rammed with shows, workshops, happenings, craft and creativity, we’re proud to present one of the most varied and comprehensive programmes for little Greenbelters ever. Hold onto your hats!